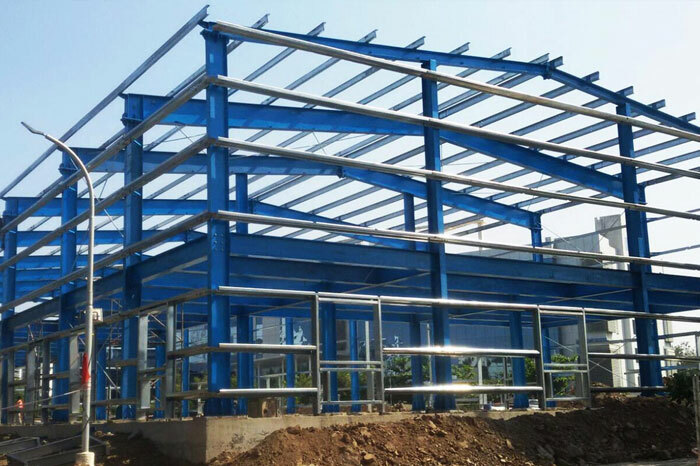 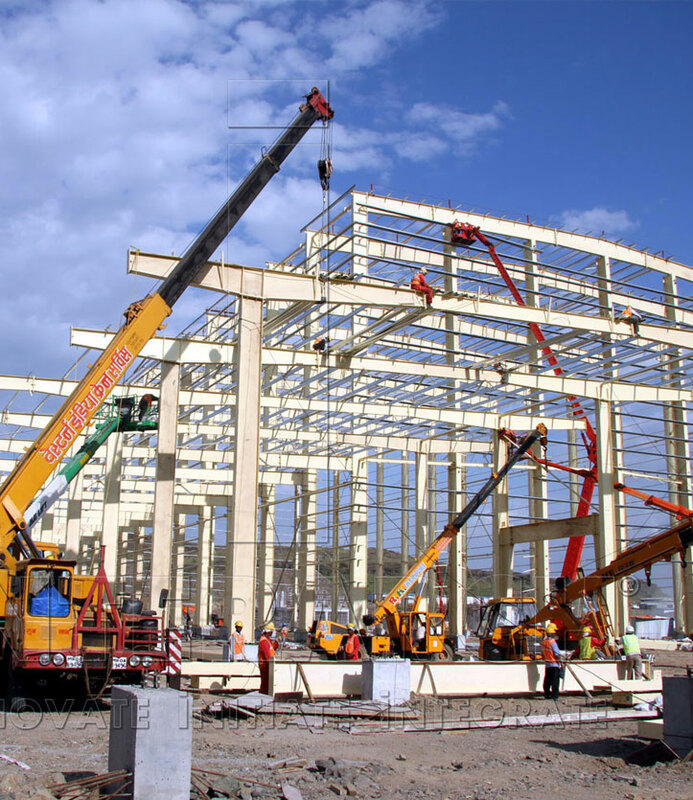 This comprises of all primary steel members (such as interior rigid frames, end wall bearing frames, wind columns & : bracing systems) including the steel framing of structural additions such as lean-to's, mezzanine systems (inclusive of mezzanine. 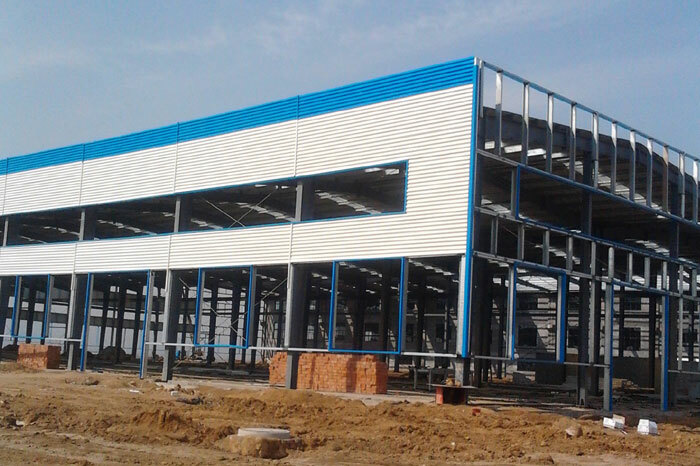 deck & fasteners), roof monitors, jack beams, crane runway beams, roof extensions, canopies, fascia’s & :parapets, interior partitions, roof platforms, catwalks, etc. 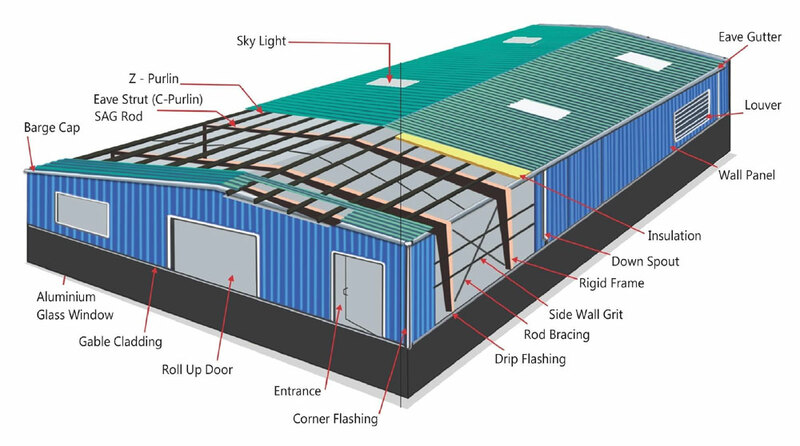 )and structural sundry items (such as anchor bolts, connection bolts and sag rods) .It also includes galvanized secondary members (such as Z-section roof purloins & wall grits, C-section eave struts & base channels, framed opening members and base & gable angles).